The President of the African Development Bank, Dr Akinwumi Adesina, is currently on a tour to seek global support for the bank’s programme to raise $3.3bn for African women and youths in enterprise. 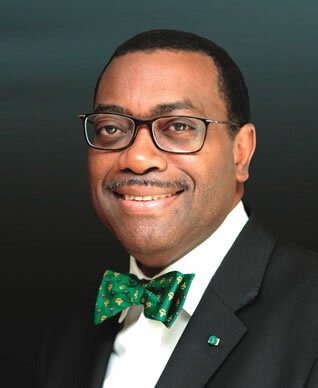 The AfDB which disclosed in a statement made available to our correspondent in Abuja on Sunday said this was in furtherance of Adesina’s conviction that the future of food in the world depended on what Africa could do with agriculture. The bank said, “To expand opportunities for youth, women, and private sector players, Adesina is on a global mission to promote and seek support for the bank’s Affirmative Finance for Women in Africa programme, which aims to mobilise $3bn to support women entrepreneurs who historically lack access to finance, land, and land titles; a $300 million ENABLE Youth programme to develop the next generation of agribusiness and commercial farmers for Africa; and a new global investment marketplace, the African Investment Forum, which will be held in Johannesburg on November 7-9. “With over 800 million people worldwide suffering from hunger and more than two billion affected by malnutrition, food insecurity remains a real threat to global development. To Adesina, who is making a global pitch for renewed visionary leadership and strategic alliances, the future of food in the world will depend on what Africa does with agriculture. The AfDB said it envisioned a food secure continent which would use advanced technologies, creatively adapt to climate change, and develop a whole new generation of ‘agripreneurs’ – empowered youths and women expected to take agriculture to the next level. The statement quoted Adesina to have said that Africa continued to import what it should be producing, spending $35bn on food imports each year, a figure expected to rise to $110bn in 2025 if present the trends continued. In separate meetings with the Minister for Foreign Trade and Development Cooperation in The Hague, Sigrid Kaag; the Chief Executive Officer of the Dutch Entrepreneurial Development Bank, Peter van Mierlo; key private sector players, and members of the Dutch Foreign Affairs Advisory Council, Adesina said Africa and its partners must seize unprecedented opportunities for innovative partnerships and increased development impact.